On April 24, the Armenian Genocide Remembrance Day was commemorated in the museum’s Tolerance Center by presenting the book “Diplomats Witness and Condemn the Armenian Genocide”. 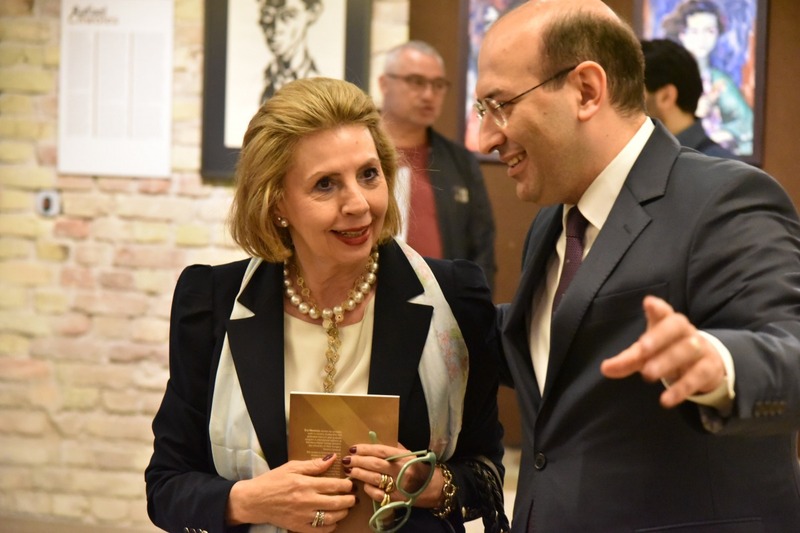 The event, organized together with the Armenian Embassy, was attended by foreign diplomats, members of the Lithuania's Armenian community and local residents interested in history. The Director of the Museum Markas Zingeris, the Ambassador of Armenia H.E. Tigran Mkrtchyan and the Chairman of the Group for Inter-Parliamentary Relations with the Republic of Armenia Povilas Urbšys addressed the audience. Their speeches were followed by two academic presentations. The presentation of the compiler and editor of the book Dr. Éva Merenics was read by the museum’s communication coordinator Zivile Avital Juonyte. The second presentation, titled “Current State of Art in the Historiography of Armenian Genocide: Sources, Materials and Documents” was delivered by historian Dr. Ümit Kurt. At the end of the event, a short documentary about the Armenian Genocide, “The Blue Book”, was screened.